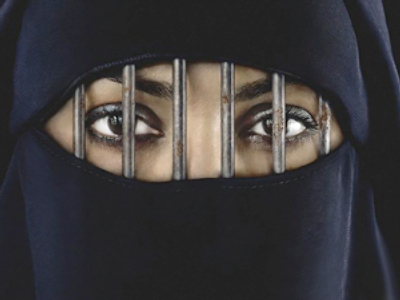 A young Saudi woman has scared off officers from the feared religious police by bravely defending her right to wear makeup and nail polish. ­The Arabic corner of the internet has been abuzz with a YouTube video portraying a woman shouting at the Saudi “morality police”, notorious for their cruelty. The lady caught the attention of the local “vice squad” at a big shopping mall in Riyadh. Contrary to the region’s religious rules, she was wearing lipstick, nail polish, and a few strands of hair were visible under her veil. The squad stopped the woman and, after a strict telling-off, ordered her to leave. To their utter surprise, the lady wasn’t ready to give up without a fight. “I’ll show you who is going to leave the mall!” she concluded. The mall police rushed to the scene in an attempt to calm everyone down. The incident comes on the heels of new constraints which were recently imposed on the country’s religious police. The vice squad is now banned from harassing women for their attire. The video has received a mixed reaction on YouTube. While many have spoken out in support of the video’s author, others pointed out that the woman provoked the police herself, saying she should not have compromised government officials by posting the video online. 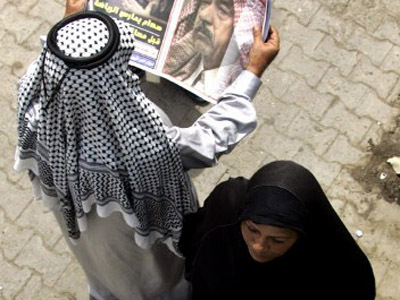 English Professor Eman al-Nafjan, living in Riyadh, believes such accusations are at best an indication of double standards. 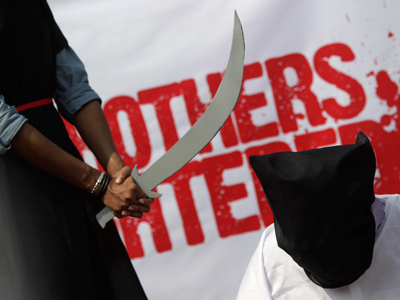 The body charged with enforcing Sharia law in Saudi Arabia is called the Commission for the Promotion of Virtue and the Prevention of Vice. It consists of 3,500 members and even more volunteers who patrol the streets enforcing dress codes, the strict separation of men and women, prayers by Muslims during prayer times, and other Islamic edicts. All of them are armed with thin wooden canes. 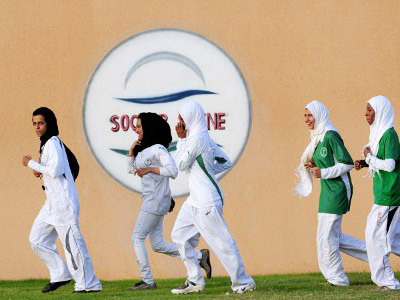 Back in January 2012, Sheikh Abdullatif Abdel Aziz al-Sheikh banned volunteers from serving in the commission with the hope of easing the strict social constraints in the country. 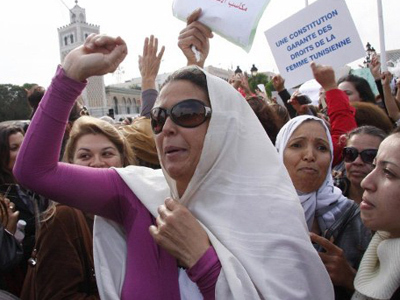 What price women’s rights in Tunisia’s new democracy?